Christopher Power, B.Sc., M.D., F.R.C.P(C) is a Professor of Neurology at the University of Alberta and holds a Canada Research Chair in Neurologic Infection and Immunity. He received a B.Sc. from the University of Toronto and an M.D. from the University of Ottawa with subsequent training in medicine and neurology at McMaster University and the University of Western Ontario, respectively, and postdoctoral fellowships at Johns Hopkins University and the National Institutes of Health in neurovirology. His research program concentrates on the cellular and molecular basis of neurological infectious and immune diseases with an emphasis on innate immune mechanisms in the nervous system. The program is comprised of a basic laboratory that is linked to the HIV/AIDS and Multiple Sclerosis Clinics with associated laboratory and clinical trainees. 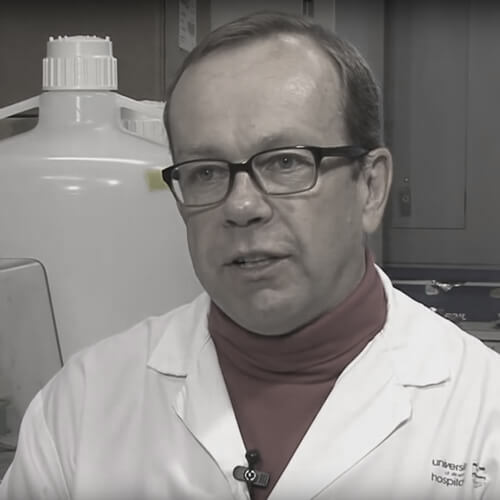 He is the founding Director of the University of Alberta Multiple Sclerosis Centre. His current h-index is 53 (Scopus) with over 190 peer-reviewed publications.